She completed her bachelor’s degree in Chemistry and Mathematics from the Catholic University of Ponce in 1968, then went on to obtain her Medical Degree from UPR School of Medicine class of 1972. She started her Surgery Residency at the Jackson Memorial Hospital of the University of Miami 1972-1974 and finished at the UPR RCM in 1977. After her General Surgery residency she completed a Fellowship in Pediatric Surgery at State University of New York at Stony Brook in 1984. In 2004 she completed her Juris Doctor studies in UPR. She is a Board Certified Surgeon and currently practices pediatric surgery at the University Pediatric Hospital. He completed his bachelor’s degree at the UPR RPC in 1975. 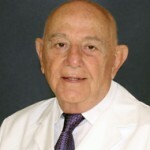 He received his medical degree from the UPR School of Medicine in 1979 and completed his Surgical Residency at UPR RCM in 1984. He went on to complete a Fellowship in Pediatric Surgery at UPR RCM in 1985. 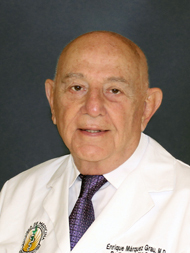 He is a Board Certified Surgeon and practices pediatric surgery at the University Pediatric Hospital.